On 13th December 2016, the Police participated in the Mahim Fair using loudspeakers within the premises of the Mahim Police Station. I measured decibel levels, showed the reading to the police personnel on duty and filed a written complaint at about 2.52pm. I would be grateful for information about action taken on my complaint thereafter and the current status of the case. 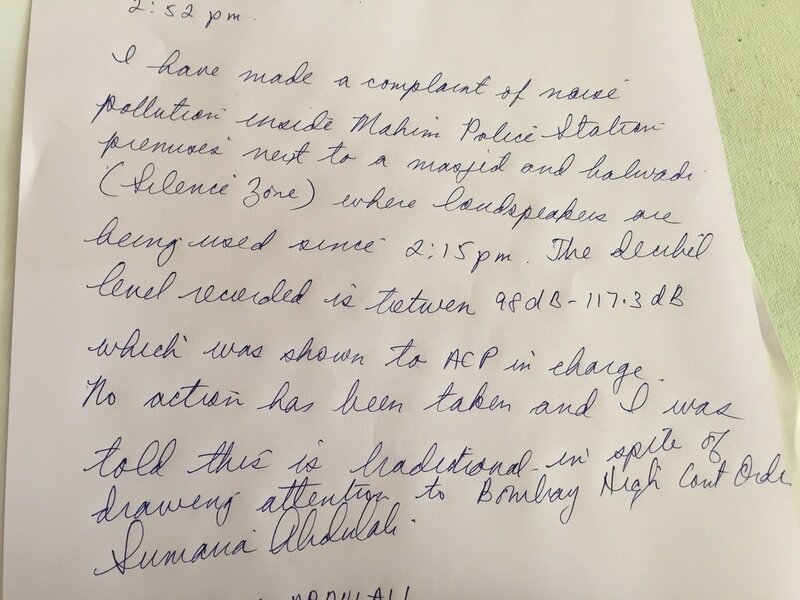 At about 2.15pm - 3 pm the noise pollution from loudspeakers and brass instruments within the premises of the Mahim Police Stataion recorded between 98dB - 117.3dB. I made several oral complaints and finally made a written complaint at about 2.52 pm. I drew the attention of the officers at the Police Station to the High Court Order and showed them the readings on my decibel meter. 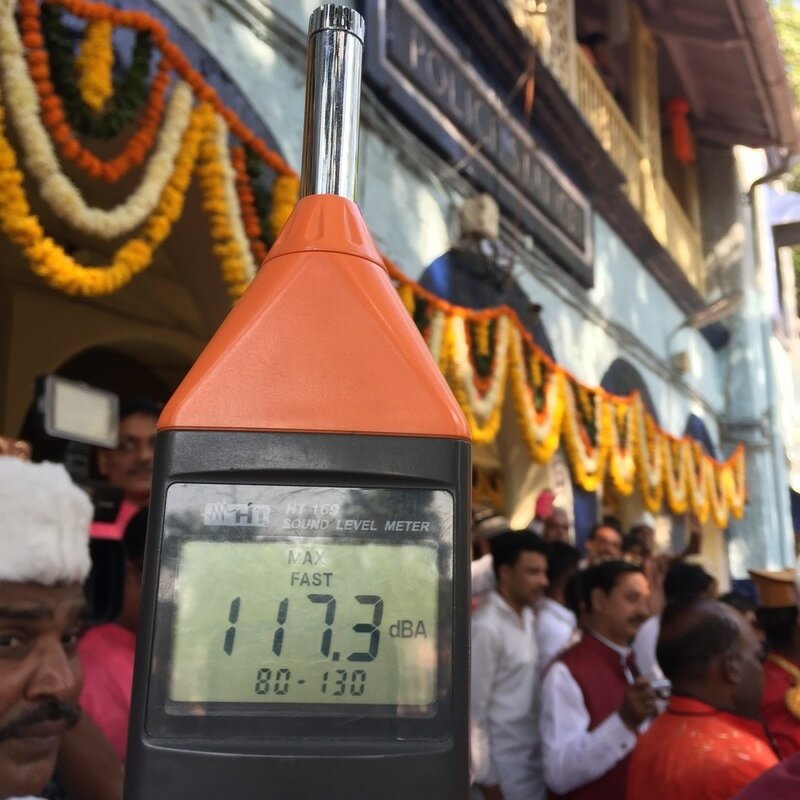 I was told that this is a traditional event and that the balwadi next door was closed, therefore the noise would be allowed to continue until such time as the Police took their own readings on their own decibel meters. No action was taken while three separate groups of drums, loudspeakers and brass instruments continued to make noise within police station premises in a Silence Zone (next to a Balwadi and masjid). A copy of my complaint and photographs of the readings are attached.